This article will focus on Excel Budgeting on Cloud for Banks. Nothing is easier than Excel – When it comes to budgeting for a bank, it all starts with the balance sheet. The main component of a bank’s revenue comes from the interest earned from loans and paid on deposits. To budget interest, you will need to figure out what the existing loan and deposit balances will look like over the next several months. Excel: How do I love thee? Let me count the ways. (Sonnet 43) – The reason why we all love Microsoft Excel so much is that you can create almost any report you can imagine. Take for example this Business Process Management (BPM) report. BPM is a systematic approach to making an organization’s workflow more effective, more efficient and more capable of adapting to an ever-changing environment. This article will focus on Cloud-based Business Intelligence Solutions for Banking. This article will discuss dashboard solutions for real estate companies that are seeking to enhance Microsoft Dynamics GP data analyses. This article will focus on Cloud Reporting for Banks. This article is the second part in planning for a KPI design project. This article is the first part in planning for a KPI design project. A Key Performance Indicator (KPI) can help your company understand if your company is on the right track, and if it is not, it can help your company understand where to focus your attention. Love them or hate them, but KPIs might become the backbone of your business. A true definition of a KPI is a metric that is meant to be a measure that truly matters and that ideally can be acted on. KPIs are financial and non-financial metrics used to help a company define and measure their progress toward company goals. A metric can be the number of customers, the number of sales, or total revenue. Once you have defined your business goals, identifying and aligning the KPIs for your business will be easier and simpler. In this article, I will cover the first 5 steps in planning for a successful KPI design project for GP users based on the Designing Metrics and Key Performance Indicators chapter of the Business Dashboards published by John Wiley & Sons, Inc. This article will discuss modern, dynamic reporting for media organizations that use Microsoft Dynamics GP, including what to look for in a software solution. Financial reporting is absolutely unavoidable in the modern business world. We’re all doing it, whether it is a homegrown Excel process, a legacy program, the native Microsoft Dynamics GP report writer, or an independent software vendor (ISV) solution. And the media industry is no different. In terms of process improvement, upgrading your reporting writing processes with a new solution means automated financial statements, modern security, accessible collaboration, and self-service analytics. This article will explore what you should be looking for in a report writer to meet today’s analytical objectives, zooming in on what a reporting tool should offer you as a media organization using Microsoft Dynamics GP. Microsoft Dynamics 365 has Accelerated the Cloud ERP Revolution, but What About Your Reporting and Budgeting Needs? This article discusses next steps to take for your reporting and budgeting needs regarding Dynamics 365. Microsoft unveiled their cloud-based enterprise resource planning (ERP) system, Dynamics 365, just a little over a month ago. 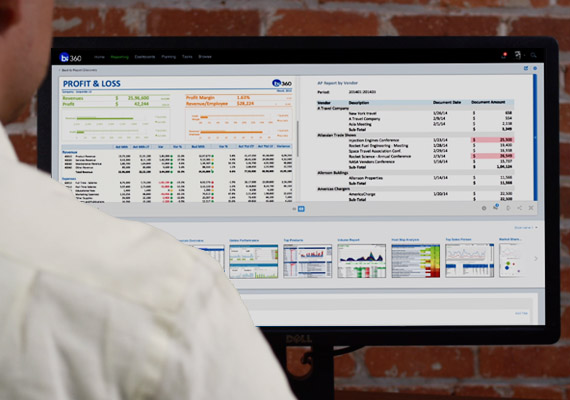 As a potential business intelligence (BI) customer, you’re probably curious about your reporting and budgeting processes in the context of moving towards a cloud-based ERP system. As you know, a new United States president was elected on November 8th, and as always with a new president, people are curious or worried how things will work out. If you are one of the approximately 85% of the world still using an on-premise ERP system, this same analogy can be applied to those who are planning to go onto a cloud ERP. This article focuses on the next steps to take for your reporting and budgeting in regards to Microsoft’s Dynamics 365 unveiling.